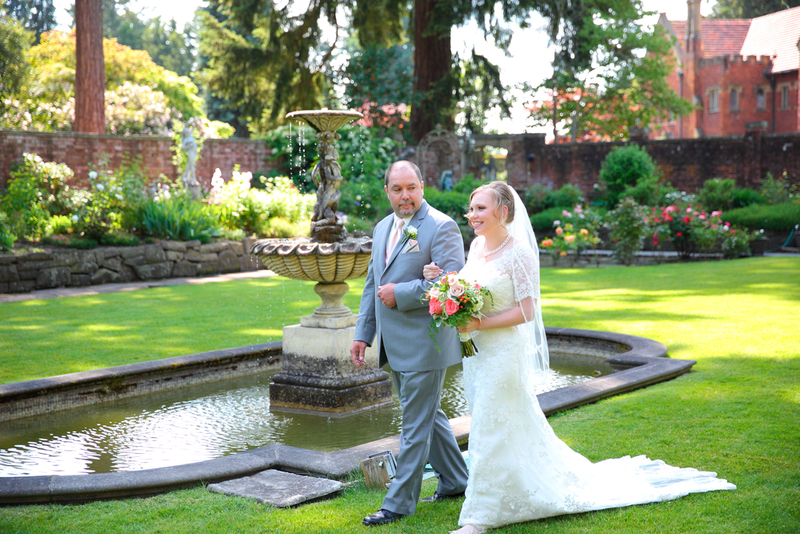 All the ambiance of a European Destination wedding right here in the Pacific Northwest. 42 miles south of Seattle, Washington. 12 miles south of Tacoma, Washington. 132 miles north of Portland, Oregon. Thornewood is also a convenient 30 mile drive from Seattle-Tacoma International Airport. If you are interested in Thornewood Castle for your wedding venue, please call and set up an appointment to view the venue. Please call 253-584-4393 or email our Event Manager for further information. Rain in Seattle? No problem! Thornewood has you covered, literally. Our wedding venue offers both indoor and outdoor wedding options, so our couples never have to worry about bad weather.